pride. 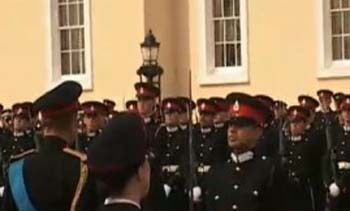 Officer Cadet Talha has won “Sword of Honour” for overseas cadets. Cadet with Best Academic Scores. Performance at DIA by an Overseas Cadet. nation in line with the traditions and customs of Pakistan Army. This entry was posted in News and tagged Cadet Talha Zahid, Muhammad Talha Zahid, officer cadet, Pakistan Army, RMA, Royal Military Academy, Sword of honor, Talha Zahid. Bookmark the permalink. Thank you for making us proud. You are pride of the nation.